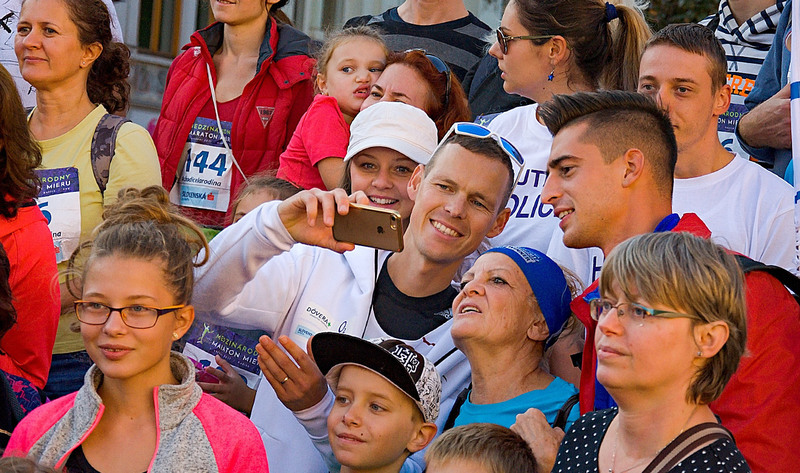 The now almost traditional meeting with Olympic champion Matej Tóth during the Košice Peace Marathon program is taking on a new form. In the program Vybehaj to s Matejom (Run with Matej) we will have the chance to meet with this superb athlete several times. Both on the course of the run itself, on Sunday 7 October and during a friendly meeting and social activities on Saturday 6 October. And you can register free of charge for this meeting with Olympic champion Matej Tóth and then go for a walk with him through the centre of Košice. The length will be not quite 4 kilometres and the course, which you can see here, leads through the green heart of Košice and the historical centre, including the longest pedestrian zone in Slovakia. Register free of charge on this Web site, pick up your start number according to further instructions at the permanent presentation site in the Aupark Shopping Centre and come on Saturday 6 October to the start, which takes place at 4:00 p.m. at the Expo MMM in front of the shopping centre itself. Matej Tóth, the KPM 2018 organization team and Slovenská sporiteľňa, the main partner of the KPM and partner of the “Run with Matej” project, are looking forward to meeting you.